"People buy with their eyes"
The presentation of goods is and remains an important aspect in food retailing. In addition to fixed facilities, operators often look for additional, flexible out-of-pocket expenses, such as seasonal offers and special promotions. Even larger retailers are looking for ways to better represent their products and brands. "Because the eye is not only used to see, but people buy with it as well. 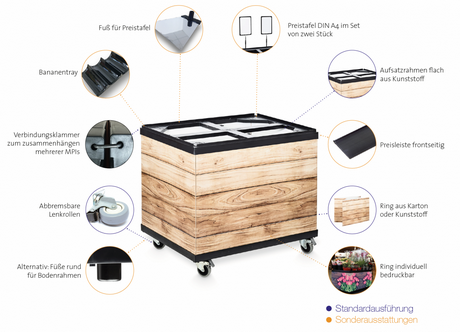 That's is why our mobile presentation island is a great tool, it's a true all-rounder and flexible enough to adapt to your needs quickly and perfectly," says Barbora Spurná of ​​the Austrian Pack 'nlog GmbH. The presentation islands consist of a floor frame, walls made of cardboard or plastic and a selection of different top frames. "Our mobile presentation islands are very versatile, offering our customers optional attachments for a multifunctional presentation space, and the walls are individually printable, allowing the islands to be adapted to existing displays or customized to match product or action," added Spurná. 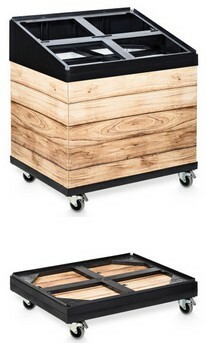 "We also have a Combi display that can be used to crea te theme tables and maximize the display area, and we are especially proud of this option, which is particularly helpful for small retail spaces short-term use, the presentation island can be folded with a few simple steps to save space for storage, says the product manager. "The presentation islands with cardboard walls are designed for 80kg loads, the plastic walls can withstand up to 120kg. Both variants are very durable." 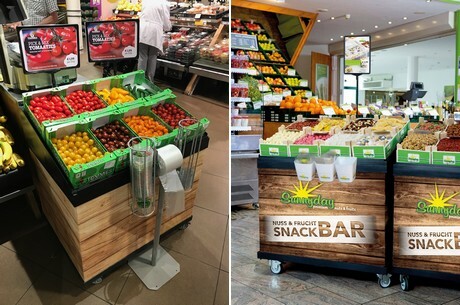 The company Pack'nlog supplies mainly the food retailers with the mobile presentation islands. In some cases, however, the islands are also ordered by cooperations or producers who individually print them and deliver them to the markets for promotions.